Please do not hesitate to contact or personal message me via my mobile number, email address or add me as friend in Facebook. A million thanks in advance. Additional Info: Wei Yang obtained his Bachelor of Music with Honors from NAFA in collaboration with Royal College of Music. He also holds a Diploma in Music Performance (Piano) from NAFA along with outstanding results in ATCL, LTCL and FTCL (Fellowship in Solo Piano Performance) from Trinity College of London. During his musical pursue in Nanyang Academy of Fine Arts, Wei Yang was awarded with the prestigious Tan Chin Tuan Merit Awards twice in the year of 2010/2011 and 2012/2013, NAFA Merit Awards and Lee Foundation Bursary. He is also proficient in Violin and holds an ATCL in Violin Performance from Trinity College of London. He is a winner of multiple competitions both locally and regionally. 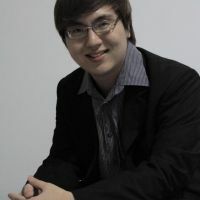 His more notable achievements include winning the 1st prize in the 2nd Lucien Wang Piano Competition, top 5 finalists in the Music Essentials Concerto (Piano Category) in 2011 that organized by NAFA, the award winner of FTCL solo piano category from Trinity Guildhall Malaysia (Top scorer in East Coast Malaysia) and taking home the top prize at the 6th Asian Youth Music Competition that organized by ROCMA in Singapore. Wei Yang also won the 1st prize at the Malaysian Nationwide Youth Piano Competition and received 2nd prize in the Kuala Lumpur Festival Music at the age of 12. On top of all his achievements, Wei Yang also an active performing artiste in the local and Malaysian music scene. Having performed in the “Winning Keys Concert Series” featuring the International Prize Winners from NAFA, he was also invited as the guest soloist in the event of Ralpha Children Home’s Fund Raising Concert. He was performing “Yellow River Piano Concerto” and the “Youth Piano Concerto” in collaboration with SMJK Catholic Petaling Jaya Chinese Orchestra. He also appeared as the guest performer in “Exhibition on German Culture” that organized by the Goethe-Institute, “Classical Evening from Young Talents” at No Black Tie, Kuala Lumpur, “Huayi, Chinese Festival of Arts, Euphonious Melodies” and “Songs of the Heart” at Esplanade Concourse, live broadcast performance in TV3 under the event of “Jom Heboh”. Wei Yang is currently under the tutelage of Malaysian-renowned pianist Dr Nicholas Ong (D.M.A in Piano Performance, Juiliard School of Music). When studying in Royal College of Music, he studied with world-renowned pianist Andrew Zolinsky. Throughout his musical journey, he has taken master classes and private coaching from notable pianists across different countries that include Khoo Siow Chuen, Dina Parakhina, Gordon Ferguson-Thompson, Roger Muraro, Boris Kraljevic, Dennis Lee, Toh Chee Hung, Rena Phua, Albert Tiu, Ng Chong Lim and Loo Bang Hean.